Unbelievable Jeff!! A Hartlepool United Story!! Jeff Stelling, probably Hartlepool United's most famous fan...and a man that most of the UK football community know and love! Getting us through Saturday afternoons for as long as most of us can remember, I can't imagine anyone else ever taking over Soccer Saturday from the main man himself! Now Jeff's not had it easy as a Pools fan over the past few years and we've had to witness the anguish, disappointment, pain and disbelief through our TV screens! 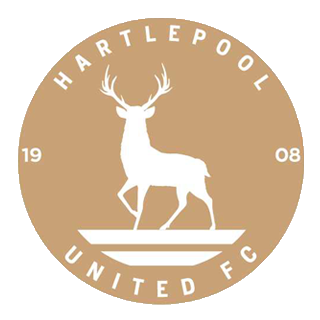 Jeff shows the emotion that we all feel as football supporters and this story is in honour of him as I take over as manager of his beloved club and try to give him something to celebrate and bring the good times to Hartlepool! The long term aim is to take them all the way to the top of English football. Something that should take me quite a while, with them currently languishing in the National League (4th tier), having occupied non league status for the past couple of seasons now! Between 1958 and 2017, the club fluctuated between League One and League Two always kind of being the mediocre side that would battle for playoffs in League Two and struggle against relegation in League One! The Hartlepool fans have had nothing....absolutely nothing to celebrate over the years as they've never won a single trophy!! The highlights being a runners up spot in League Two in both 2003 and 2007, but no Hartlepool player has ever won a winners medal for anything...something else I will be trying to change! The club play their home games at Victoria Park, a pretty old stadium which was built all the way back in 1886! It has a capacity of 7,856 and during my tenure here, I'd like to see us into a new stadium altogether! As far as my profile goes for this game, I have started with the recommended badges and experience as suggested by FM for this level! That means I have a Continental C Licence and playing experience as a professional footballer at local level! dporter8999, leckuno, NashBigginss and 1 others like this. Looking over my new squad, the first thing I notice is that I have a team full of players who should be in their prime years of their careers, between the ages of 25 and 28! Only two players aged 30 in the team, so we're not bordering a mass of players about to retire and who will need quickly replacing which is good! At the same time, we only have 6 teenagers in the squad, which means there isn't a lack of experience either! Most of the team have a fairly balanced personality too, so we shouldn't have too many clashes amongst the lads! Carl Magnay is a top centre back for the National League and my biggest fear is not being able to keep hold of him! Not only does he have great attributes for a central defender, but he is also a natural born leader and someone I'd love to name my captain (providing he can stay loyal to us)! Bradford City, Oxford United and Peterborough are all sniffing around at present! Now, if Magnay does leave the club, then it's Liam Noble that could be named as my captain in his place! At central midfield, he will be the heartbeat of my side! Again, he looks like a top player for this level of football! The third player I'm picking out is goalkeeper, Scott Loach! He adds some experience to the side and spent a lot of his early career playing for the likes of Watford in the Championship, so he can definitely lend this kind of knowledge and experience of the game to the younger lads in the team! He's a pretty tasty keeper and could step up and win us points by himself! If we can get a quick promotion within a couple of seasons, there will be no need to replace him either as he'd definitely be good enough for League Two as well! I will be having a play around with these throughout pre season and will come back to you on what I've decided. Initially, with the players at my disposal, I am likely to start off with something like a 4-4-2 or 4-2-3-1. One things for sure, I'll look to play attacking football I think! I have just over £100k in the bank, but no transfer budget and only about £800 spare in the wage budget as well. Improving the squad during my first season will not be easy! Well, that is unless Magnay leaves for half a million lol! dporter8999, leckuno, Hammerhedge and 2 others like this. Good luck mate will be following this story, hope you get up in first season and can keep your top players mate. My first signing as Hartlepool manager was the season long loan deal for Charles Vernam from Notts County! I desperately needed to bring another attacking midfield player into the club after the injury to Luke Williams and Vernam fits the bill of what I was looking for. He has good passing ability, with the vision to go with it too. He can also finish when he gets into the opposition box and has a good work rate about him as well! He's a great addition to the squad and could play a big part in our season this year! My second signing was another season long loan, this time Joel Rollinson who joins us from Reading! The 19 year old winger can play down the left or right and will provide much needed cover in these areas! He has some pace to offer and can whip in a decent enough cross once his man is beaten, and that's all I'll be asking of my wide men in the midfield! The board's expectations for the upcoming season seem pretty reasonable and as long as I can secure a top half finish in the league, they'll be happy! Before we'd even kicked a football, one of my best players, Luke Williams, has picked up an injury that will keep him out for the first half of the season! Absolutely gutted! Carl Magnay is handed the captain's armband in a bid that it will encourage him to stay at the club...at least for this season! The bookies have us at 9/2 to win the title this season, with a predicted finish of 6th place! If we can acheive that in my first season in charge, I'll be well chuffed with that! Although pre season started with a thrashing from Coventry, which was to be expected I guess, the rest of our friendlies went pretty well and the football got better and more attractive to watch as the lads got used to my tactics! With the season about to kick off, these are the two tactics I will be starting off the campaign with! There's not a lot of fundamental differences between either except for one implementing an AM whilst the other is more defensive with a DM! What I have done differently on this save which I've never done before, is tinkered with every single players individual instructions! Normally, I pick their roles and leave their instructions as per the roles....however, these tactics have gone more in depth and focus on strengths and utilising them for each and every player! Hopefully it works and will help me get the best out of everyone! Good luck with this mate! Interesting to see how get on against the mighty Heed Army but fingers crossed you can get some additional strength and have a surprising season! Season ticket sales are announced and they're not bad for a non league side! This was a difficult opening fixture for us away at one of the better sides in the league! However, we rose to the occasion perfectly and my lads gave me a winning managerial start! We went down, but responded brilliantly and a Liam Noble free kick had us level by half time! Then, Noble converted a penalty with 10 minutes to go to give us the lead! A change in tactics from our 4-2-3-1 to our 4-1-2-3 formation and a more defensive mentality towards the game ensured we held on until full time to take all 3 points! We went from playing one of the best teams in the league, to one of the worst here! I was pleased to get the win in the end and we made our extra man count after their sending off in the 59th minute! Up until then, we had dominated, but struggled to break them down as they came here with a very defensive mentality clearly looking like they were playing for a draw! A good result away from home against another top side. Chesterfield had also won their opening two games and came into this with home advantage and full of confidence! However, we held our own and earned a decent point! This was another game that I would have expected to win at home, so I'm pleased we got the job done! It was probably our most complete performance of the season so far, always in control, creating plenty of chances and defending well to limit their opportunities too! Well that's not a bad way to start my managerial career as I win the Manager of the Month award for August! Another game I'd have expected us to win, but this time we came up short as we just couldn't find the back of the net. We never looked like losing it, but our finishing let us down and cost us a couple of points here! With only 2 days gap since the Maidenhead game, a number of changes were required to a tired first 11! And the boys that came in played well as we completely dominated the game from start to finish! Again, we struggled to find the back of the net from open play but two Jake Cassidy penalties were enough to see us through and put another 3 points on the board! A great start to the league campaign sees us unbeaten in our opening 6 games, as we sit 2nd in the table! Doesn't really mean anything at this early stage of the season, but it's good to have set our stool out early and show the rest of the league we're not here to just make up the numbers this season! My first permanent signing as manager of Hartlepool is 23 year old centre back, Bevis Mugabi! The Ugandan was transfer listed by Yeovil Town, but they didn't want any money for him so I picked him up on a free transfer! My backup centre backs were pretty poor and I lacked options in that position, but Bevis comes in and can immediately challenge for a first team place with his stats, although I won't rush him in too quick as he is lacking match fitness having not played a game so far this season. Our best performance of the season so far as we absolutely batter Dagenham & Redbridge! Nearly 30 shots on goal and converting 4 of our chances gives us our biggest win so far. Joel Rollinson and Liam Noble celebrated a brace each as the midfield gave me a solid game all round! Solihull Moors came into this game without a win in their opening 7 games, so I was confident we could inflict another defeat on them here and extend our own unbeaten run. And we did exactly that as we ran out pretty easy winners. Solihull clearly have a hard time scoring goals and I can see them struggling this season unless they get a top striker in and fast! A top of the table clash as we took on 2nd placed Aldershot! We looked the better side up until the 39th minute sending off of Mark Kitching! That's when Aldershot started to dominate and went ahead through a penalty just 2 minutes later! Things evened out again when The Shots had one of their own sent off on 57 minutes, and we created the better chances in a pretty open final half an hour, but we couldn't find the equalizer and suffer our first defeat of the season! After dominating this game, it looked like we were going to lose when they went in front with only 6 minutes to play after Liam Noble was sent off for us! However, my players showed great determination and with only a minute remaining on the clock, Lewis Hawkins scored the equalizer that secured us a well deserved point! Back to winning ways, but how on earth did we only score 1 goal in this game!! And it took a penalty as well...we really are squandering a hell of a lot of chances at the moment! Luke Molyneux was named as the Young Player of the Month for September. Another dominant performance here against a struggling Barrow side, but again I feel like we should have won by a bigger margin! Jake Cassidy's winning strike was a beauty from outside the box, whilst new signing Bevis Mugabi came on for the final 20 minutes to make his debut. There's no denying that we got away with one here as we were bloody awful against a Maidstone side that had only won 2 of their opening 12 games this season! A late Luke James goal nicked all 3 points for us as he volleyed home a powerful effort from inside the box! Our 2nd game against a Kent side in 5 days and this one ended in a draw! Dover came into the game in good form having only lost 1 of their last 10 games, so a draw isn't the worst result in the world, although we did create enough chances to have probably won the game. Fourteen games into the season and we still only have one defeat to our name. If you'd have offered me that at the start of the season I'd have bitten your hand off! Despite only losing one game though, our good form is still not enough to see us topping the table and instead we sit 3rd and Aldershot look almost unstoppable at the moment! Already there is a bit of a gap opening up between the top 4 and the rest and I'm glad we're in the mix. Salford fans will be mightily disappointed with their start as their club sit 19th despite being pre season favourites to lift the title. We'll invite National League North side, Altrincham, to Victoria Park for the 4th qualifying round of the FA Cup! Best of luck with this save - I will follow for sure! I particularly enjoy lower league saves and a very good start to the campaign. Cracking start to your save mate, is the interest in Magnay still hanging around? Looking good - what skin is that? Cheers fella...we are doing much better than I expected at this stage. Won't get too carried away just yet but if we can keep this up for a couple more months we could think about challenging for the title. It's the Andromeda skin downloaded from FMScout mate. Despite Altrincham being from the lower league, I didn't take any chances with my squad selection here and kept to a pretty strong lineup! It paid off as we cruised past the National North side with ease and into the 1st round proper we go! Bevis Mugabi will have an opportunity to go back to Yeovil in the first round of the FA Cup. 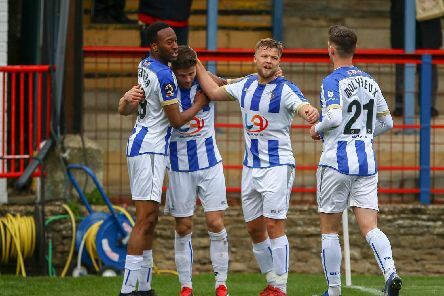 FC Halifax are amongst a load of clubs chasing down the top 4, so this was a massive win for us! It was Bevis Mugabi who stole the show for me as he scored his first Hartlepool goal, but also pulled off the most sensational tackle at 2-1 to stop a clear goalscoring opportunity and keep us in front! A massive 3 points this! Great to see Luke Williams making his return after 4 months out injured as well! Salford were pre season favourites to win the title and all I can say on this performance is 'HOW?'. They were absolutely terrible and we literally walked all over them on our way to our biggest win of the season so far! Everyone turned in a shift for us today and the team performance was superb! Luke Williams got another 10 minutes as he continues his return back from a big injury. Nicky Featherstone picked up an injury in training after the Salford game that will see him miss up to 5 weeks! He's been a constant in my side so far, so will likely be sorely missed! We made hard work of this one, but got over the line in the end and put another 3 points on the board! Braintree were resolute and determined and tough to break down, but offered very little going forward. Our good form has continued and now there seems to be a clear top 3 in the league as Leyton Orient have dropped off the pace a little. Only goal difference seperates us and Fylde at the top, with Aldershot hot on our heels. Smashing start to the season mate - one of the hardest parts about the National League though is that there is only one automatic promotion spot. You at least look like you’ll make the playoffs - best of luck!